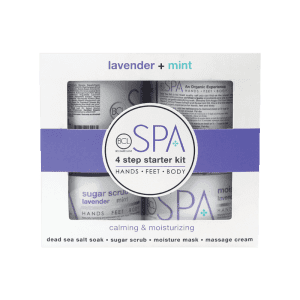 Relieve the tensions of the day with BCL SPA® Lavender + Mint 4-Step System. Together, Lavender + Mint act as an incredibly soothing duo with calming and moisturizing benefits for the skin. Purify and soothe your skin with the BCL SPA® Lemongrass + Green Tea 4-Step System. 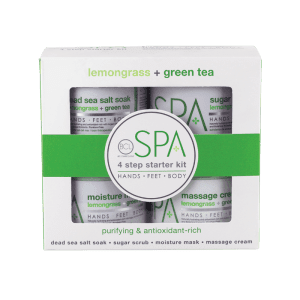 An essential system for the hands, feet and body, this 4-step system helps to detoxify and calm your skin for a relaxing, gratifying experience. 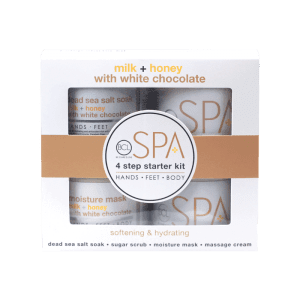 Soften and hydrate with the BCL SPA® Milk + Honey with White Chocolate 4-Step System. Damaged skin cells are regenerated and skin’s natural moisture balance is restored for softer, more hydrated skin.